A small clinical trial demonstrated that the benefits of cognitive remediation therapy and social skills training were greater when patients with schizophrenia spectrum disorder also took the FDA-approved drug guanfacine. Adding the drug guanfacine to a proven therapy program to treat cognitive deficits led to even better results for individuals with schizotypal personality disorder, say researchers who have just published results of a small clinical trial in the American Journal of Psychiatry. 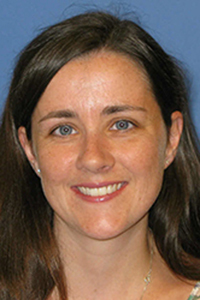 Results of the study, led by 2013 BBRF Young Investigator Margaret M. McClure, Ph.D., of the Icahn School of Medicine at Mount Sinai, appeared online January 18, 2019. The double-blind, placebo-controlled trial involved 28 patients, all diagnosed with schizotypical personality disorder (SPD), a schizophrenia spectrum disorder. Those with this diagnosis are usually socially isolated and suffer from perceptual distortions. Like schizophrenia patients, patients with SPD also frequently have cognitive impairments in such areas as verbal and spatial memory, attention, abstract reasoning, verbal fluency and verbal and spatial working memory—the short-term memory needed to perform tasks immediately at hand. For this reason, people with cognitive impairments of this kind often have trouble functioning, not only socially but also in jobs. Indeed, impaired cognition is the best predictor of functional outcome for such patients, Dr. McClure and her colleagues point out. All 28 of the trial participants received computer-delivered cognitive remediation therapy plus social skills training for 8 weeks. Fifteen of the 28 also received guanfacine, an FDA-approved drug sometimes prescribed for ADHD and hypertension; 13 patients received a placebo. Guanfacine stimulates a receptor on brain cells that increases activity in part of the brain’s frontal cortex that is critical in attentional functioning and working memory performance. “Our most important result was that cognitive remediation and social skills training had greater beneficial impact in those patients who were treated with guanfacine,” the team noted. In particular, “there was significantly greater improvement in their reasoning, problem-solving, and functional skills.” Additionally, the team noted improvements in social cognition in many of the guanfacine-treated participants. “Although symptoms of schizotypal personality disorder remained for most participants at the end of the trial, the majority demonstrated improvements in cognitive performance, functional skills, and social skills and reported qualitative benefit from the experience,” Dr. McClure and colleagues concluded. In addition to boosting the impact of cognitive remediation therapy, there is the hope, said the researchers, that adding guanfacine might help some people who don’t respond to cognitive remediation alone. More research will be needed to demonstrate this.